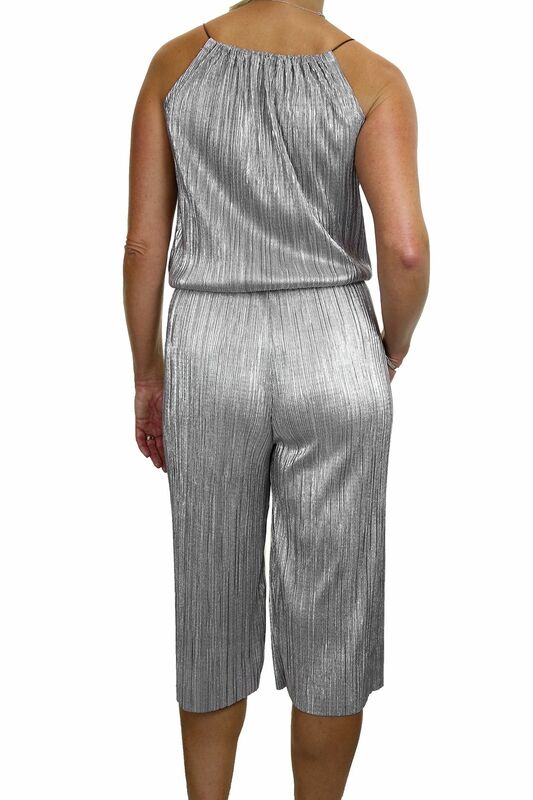 You are looking at a culottes jumpsuit. The fabric is a lightweight, stretch, crinkle metallic, and shines with movement. The waist is elasticated for a good fit. The neckline is adjusted with the tassel pull cord at the front.